Cramlington Rockets is now working in partnership with Autism Northumberland. A booming sports club is expanding its reach into the community. Cramlington Rockets, the RFL Club of the Year, is looking to help disabled people in the area. The rugby league club has launched SENsational, a rebranding of its disability coaching, to bring all of its work under the same umbrella. It follows hot on the heels of the Barci’s Buddies programme, an initiative with restaurant chain Nando’s to support children to make positive lifestyle choices. The latest group to sign up with the Rockets is Autism Northumberland, with a session running every Thursday exclusively for children it supports. Steve Beaty, Rockets community manager, said: “We are very proud to be able to work with even more young people in Northumberland. “We have been expanding our work over recent years and it became clear that there was a demand for something like this. He added: “The fact that it will be weekly sessions will be great for those involved as it means they have a structure and regularly activity to look forward to. To find out more about Cramlington Rockets RLFC and its work in the community, visit www.cramlingtonrockets.co.uk, email info@cramlingtonrockets.co.uk or call Steve Beaty on 07984 630083. 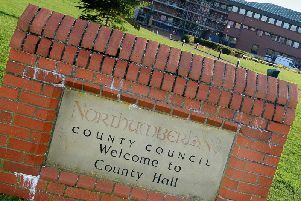 To find out more about Autism Northumberland, go to www.autismnorthumberland.co.uk or visit its centre above the shops in Manor Walks Shopping Centre, Cramlington.